With Hope you will walk to see your goals accomplished. With Love and Trust you will print every step you take. Congratulations on your special Day. 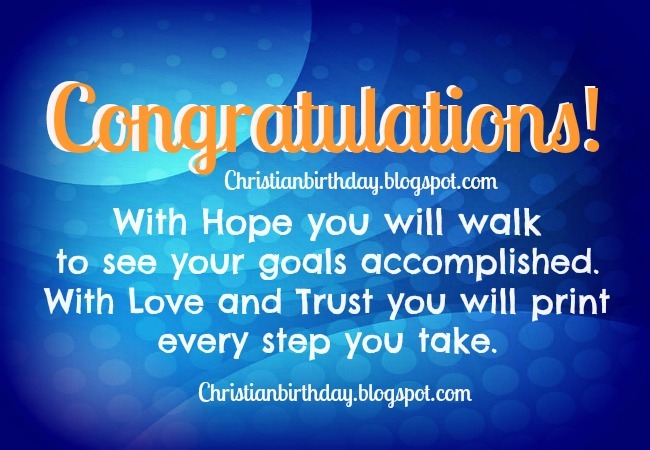 Congrats for graduation, happy birthday, nice quotes for friends to share by facebook. Free birthday card, image. Happy day words to send by mail, twitter, to celebrate with friend his special day.